Save 42%! Special price while supply lasts. 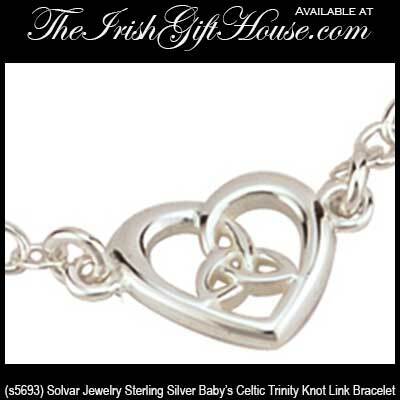 This Celtic baby bracelet has been hallmarked sterling silver by the Irish Assay Office at Dublin Castle in Ireland. This Celtic baby bracelet is crafted in sterling silver and it includes a 3/8" wide charm that features a Trinity knot inside of a heart. 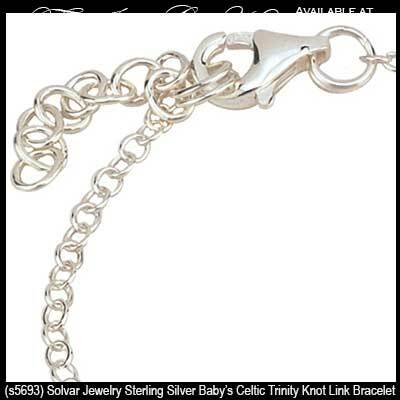 The child's Celtic link bracelet includes a 5" long sterling silver chain with an 1" long extender. This child's size Trinity bracelet is part of the Little Fáilte Collection from Solvar Jewelry in Dublin, Ireland and it is gift boxed with a Celtic history card, complements of The Irish Gift House. 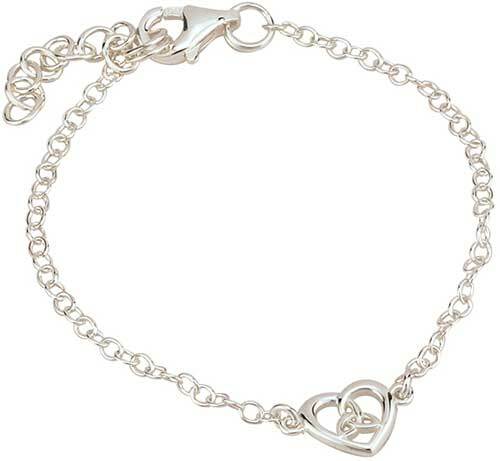 Claddagh bracelet is an ideal size for an Irish baby or small child. Irish baby bracelet features a Trinity knot that is an ideal Celtic design for a baby or small child.